Over the past few weeks, Simpleology 5 has been slowly rolling out to our over one million registered users. Meanwhile, our developers have been busy busy bees. With the rave reviews we’ve been getting for 5.0 across the net, it might be tempting to rest on our cyber-laurels. Pah! Tempting if we were lazy. Fortunately for us, we are all avid users of our own software and therefore relentless productivity machines as a result. Here are a few of the new features you’ll notice when you log in today (that weren’t there when we launched 5.0). The Options Overlay was, and is, unique. It’s a totally new UI concept that began here. Generation 1 was good, but there were a few issues. Dragging and dropping was clunky. Clicking on links was not easy. It didn’t work well in mobile. It wasn’t as well organized as it could have been. The Redux solves all those issues and more. Try it out. The belt training has changed everything. We now have a systematic, step by step, way of taking you from “total novice” to “Simpleology Black Belt.” The first version had a few issues. The videos weren’t working in mobile. We weren’t considerate of the hearing impaired and left out Closed Captioning. It was hard to know how long a training session would last. The training was excessively repetitious. There was no way to control the videos. All of that has been addressed and more. Frankly, we were reluctant to make those changes. Since in time we’ll allow folks to use their Simpleology belt as a credential, and will allow others to verify that credential, we do have some responsibility to ensure folks have actually demonstrated a skill before advancing. But at the same time, we want to make the system flexible enough for those who have different learning styles. It’s a delicate situation, and no matter how we slice it, there will be those who will game the system. Given that that’s unavoidable in any scenario (already we’ve heard rumblings of people offering “pre-loaded Simpleology Black Belt accounts” generated by cheap labor) we opted for a good balance of flexibility and forced skill demonstration. As always, there is much much more to come, folks. As always, this happens by combining your requests with our plans, so keep those requests comin’! We are listening. If I had the best way I would not need Simpleology. Forced repetition is absolutely NOT what I want. It is what I need. Thanks for the belts. Great job Mark and the Simpleology Team! !I agree the belt system is a great addition. Instead of the old ‘school work’ styled learning system. This improvement simplifies the process by showing you through action, as you do it!I’ve given feedback through early access testing and am pleased to see many recommendations in the current release. 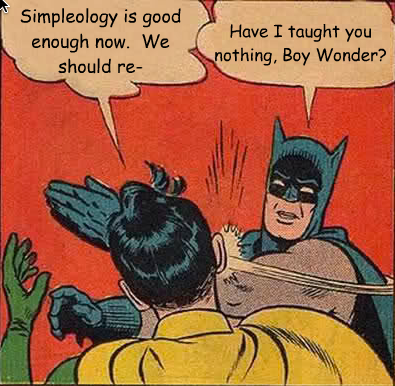 (btw: Their customer support is excellent)As with older versions, Simpleology is about You. Helping you organize your life goals by breaking them down into smaller parts. Filter out the unnecessary while focusing on what you need to get done each day. The mobile and tablet support make this tool significantly more valuable.Ever think about using a ‘to do list’ or find yourself saying you don’t have the time? Wish you had a method to break down your goals while tracking each step along the way?Simpleology is the key to unlocking the progress you want from your life!! I am liking this more and more as I begin to develop the habits of sorting through my priorities. Great stuff Mark! Most of these items were mentioned on the feedback data I sent your way. Bravo the the Simpleology Team. It is the first time I have been “forced” out of procrastination. I love the processed of repeated daily training and the mix of short or long ones. I am not quite sure why but when I do some to the training when I press the “continue training” the videos will no longer work and I am “on my own” … it does not seems it register that I have “on my “own” completed the training / inputs of Start my day. Otherwise FABULOUS work as usual. Thanks for your support / training . @Moira Hendrickx @nrdreyfus We just discussed all that this morning in fact. This should be fixed quite soon. @nrdreyfus I had that happen to me a few times as well. I just exited the training and started over and it worked. I guess I needed more repetition that day. Love the new facilities Mark! And how quickly you are tweaking and improving them. Also love your support team. They’re fantastic!! I don’t know how many years I have been a member here now, but it is really great to be treated like someone “in the loop” when you have a query – instead of a “that’s the way it is” response. Only yesterday I got a reply about Dojo issues and exporting daily targets – explaining what was still being worked on – and here we are today with much of it done!!! Great stuff! I am one of those who will really appreciate the option to jump forward in the belt system. Not to ‘game’ or because I don’t believe in repetition….but because I know that I don’t use lists and trackers efficiently and really want to build those habits on top of the regular start my day – which I am very familiar with. Suggestion… another alternative might be to allow users to overlap some of the belt training. I’ve never learned a martial art – but I imagine the skills for black belt incorporate a lot of skills learned for earlier belts right? @Moira Hendrickx Hey Moira, that’s an interesting option … Yeah, the Belt system here will in fact work much the same way. That is, each successive level tends to build on the last. However, in Orange Belt (which many are already on now) the focus is Kankyo Kaizen which should be totally new for everyone (and I hope extremely useful to all who do it). @Mark Joyner @Moira Hendrickx Yeah the Kankyo Kaizen practices are great, I remember when you had a course on it awhile back. (I believe it was a course, correct me if I’m mistaken. I recall a friend of mine discussion how their work just implemented ‘Kankyo Kaizen’s’ into their company. They said at first they thought it was silly but over time had added to significant improvements. I asked if the owner uses Simpleology. Answer was of course Yes. @PaulC.Koenig @Moira Hendrickx Awesome Yeah, that meme has some serious traction. The phrase was in fact coined here, but it’s taking on a life of its own. We never had a course on it, but I did make a blog post and write a short ebook on it. All that and much more is in the Orange Belt. We’ve taken it a lot further now. @Mark Joyner @Moira Hendrickx Ahh that’s where if was from. I couldn’t remember so I assumed a course :). Yeah it’s awesome to see how it’s taken off. The company made it a requirement of their staff to identify Kankyo Kaizen’s each year before their performance review with a write up of how it improves their work or the business. It’s made a great impact in my own life and is a key point I’ve been teaching others ever since. Many people who want to make a change try to drastically turn things in one direction. Be it suddenly cutting all ‘bad food’ from their diet, or working on person projects 0 minutes a day, to hours. This momentum rarely lasts. There is a better way. Kankyo Kaizen’s. Small improvements add up over time. For Simpleology users: the Orange Belt covers Kankyo Kaizen broken down over the daily lessons. If you haven’t gotten there yet keep doing your daily lessons. You will be glad you did. This is a very powerful method to increasing your productivity in all areas of life. Great way to present the concept Mark!! @Mark Joyner @PaulC.Koenig My daughter (at uni) talks about “life hacks” and I think she means something akin to Kankyo Kaizen. Sounds great! And, like all great ideas – simple and practical too. I am looking forward to doing the orange belt. Kaizen was one of the reasons Simpleology got me hooked in the first place. Thanks for the changes in white belt. Great improvements Mark, yes the white belt training was long and tedious but well worth it, Have been using Simpleology for a few years and learned a few more tricks. Thanks and keep up the good work. @JoseBerrios Now that’s what I like to hear I hope any and all who are balking because they think they “already know it” can be encouraged by the notion that they may learn a few critical improvements. Even some very minor enhancements can have a huge impact on productivity. Loving the new Simpleology 5.0! From the new training and belts, to the new UI, everything works well and I’m even more productive than I was before 5.0. 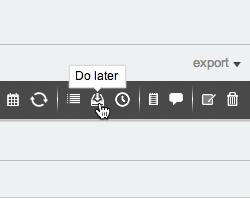 Only thing I’d like now is an export option to my company’s CRM of choice (Podio) for my daily tasks via an “select tasks to export” batch option! https://zapier.com/zapbook/ could be a fast way to set that up. @JohnStringer Stay tuned That’s definitely on our radar, but we have a few other things of higher priority to hit first. I think you’ll love what’s coming next. Rocking as usual – keep it up ! Further to discussions about the Dojo… I was looking at the difference between the packages, and Elite has Strategic Financial and Business Management Module which the others don’t. So my point is… if you are giving someone a free trial, and the first 30 days are spent focusing exclusively on the white and yellow belt, it doesn’t really show them anything specific to the Elite package. They don’t know what they’ll be missing if they drop it after the free month. @Moira Hendrickx Now it’s sure great to hear our customers bring that up and not our Marketing Department We’re erring on the side of being as generous as possible. My thinking now is that if we can really help folks become super productive in the first few belts, they’ll be more open to becoming paying customers later. If they can’t afford it, they’re still welcome to stick around and use the free tools be become more productive/successful. We’re in it for the long haul. @dsl1 :) I am in total agreement on repetition! I tutor hundreds of kids and assign homework to practice the skills. I don’t assign the exact same problem over and over though. And I let teach them new things along the way too!This is one of those things where The Sagacious Simpleology Superstars will never please everyone. :)Mark-I LOVE the new search! THANK YOU!!!! @tessfisher @dsl1 You’re most welcome. I hope the new changes are a good balance. I love it. The only thing is I would like to add is that I cannot tell everyone to use Simpleology, because they don’t know english enough. What about open to new market?f.e. In Poland for 40 mln people? Sigh. I hated the long boring repetition after about the first five times. Did it any way, and oops, learned something. LOL, don’t let us whiners keep you from making us doing it right! @Mark Joyner oops yes, gaming the system. I love the new approach of integrating gamification into simpleology but there is toooooooooo much repetition for the 1st stage (white belt). Its like 20 times. I got the whole thing from the first time and enjoyed till the 3rd time. After that it became so much boring and a waste of time really. @yassinshaar For future users they’ll be able to FF through the training after the first couple sessions … That’s in place now. Cool changes. I really appreciate the closed captions by the way. Clear and legible. I didn’t even think of this at first, but what about blind people? I don’t know how accessible your website’s to them. They kinda have the opposite problem as me–audio isn’t really a problem to them but there’re a whole other ballpark of needs. Taking their needs into consideration would take considerably more than just adding closed captions to videos and might even require creating an alternative version of the website accessible to screen readers. I can’t really advise you there–you’ll have to do your own research if you want to look into it. But I do think it’s worth taking into consideration. @Mark Joyner Oh, yeah, localization would be another good method of improving accessibility. And, yeah, I mostly just brought it up as something to think about. I know there’d be considerable technical complications there, but it’s still worth thinking about. I’m happy you’re willing to think about making your website usable by more people. I’m certainly benefitting from that. @kajarainbow Very happy to do it Come to think of it, we do have a few visually impaired users, but they have software on their end that interprets everything. I have no idea how they do it, but you’d be surprised. One of them has been running a fairly robust web business for years. Localization is great as long as the language is not forced on me, I live in the Netherlands but have everything set up in English. It is so frustrating when a site decides that I want everything in Dutch and either won’t let me change it to English or save the preference so I have to switch it each time I go to the site. @Antony den Dulk Excellent observation … I think we’ll default to English and let folks choose from there. You guys are AWESOME!!! Love it! Is there a way to see subtasks when I’m in the “decide” part of Start My Day? @tessfisher Interesting question … we deliberately suppress them so there’s less noise and you can focus on the bigger picture of priority. Would you find it helpful to see them? @Mark Joyner Hi Mark! Thanks for the response. I’d like the option to see them. This is probably because of the way I set up the task itself. It’s meant to hold the big picture as the heading and then keep all the related subtasks in one spot. I set a reminder date for the task to show up, but then if I can’t see what the subtasks are I don’t know which thing I’m supposed to decide on. I can do a workaround where I look at the subtasks before I get to “decide”. I posted the question just to see if there was some little trick I was missing. :) If it’s not already in the programming, then no worries. Thanks! @tessfisher No trick I’m aware of! :-) Have you posted a suggestion on our feature board yet? https://my.simpleology.com/featurerequest This one is perfect for that … how much support we get around a request often factors in to whether we’ll do it. @Mark Joyner Well I wanted to see if it was something I just didn’t know how to do before I requested it as a feature! :) I think my workaround will be fine though. great great great…the repetitions make sense to me, but then I was a ballet dancer, a sabre fencer (still) a musician…and in those professions one learns that it is the aware repetition that makes it work..including those of us who are quick on our feet..there’s always an angle that we only get, even in our own thinking processes, only after repeating a movement..
Repetition is great. Wouldnt it be helpful though to provide a summary to repeat as a revision with the option to repeat the full training if desired? Pne more suggestion, is there a way of working ffom the main goals , ther tasls and subtasks into the daily praxis to keep us on track and help avoid being side-tracked? Straight line theory in practice? Mark and company: you have done it again! I got more done in the last month, while achieving my yellow belt, than I did in the entire year leading up. Thanks so much! Why in the hell would anyone want to game a system that was good for them and makes them better. That’s like lying to yourself about exercise, or cheating when playing golf, it’s a non-starter. Repetition is great, but I used the new version for a while and I’m learning nothing new while I am spending time going over stuff I know. Is there a way to get to new training quicker? I also suggest you have a link to this blog on the page so people can quickly check out these comments and suggestions. @dwillie Hi David, after two days you can fast forward through the videos. However, we don’t plan to program a way for folks to get around the repetition. While you may have the concepts down, the benefits of repetition can’t be substituted by anything else. What I can say is that White Belt is the most repetition and that there is a lot more variation in the future belts. We really need to ensure folks have that base habits of a. Using Start My Day every work day … and b. Using the Dream Catcher all day every day … before moving on to anything else. If those things aren’t mastered, the benefit of the rest is greatly diminished. @dwillie Oh, one more thing to be clear … when I say “repetition” I mean demonstration of the skill taught. 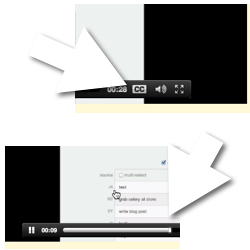 The videos don’t need to be repeated if you want to fast forward through them. @dwillie There is a link to the blog on the bottom of Simpleology pages. These are all fantastic changes! What about adding the ability to share each belt achievement via a Facebook share app? It would be a great for drumming up curiosity among our friends, i.e. “Mark Jones has just become a black belt in Simpleology!”. I am sure everybody will want one. I am moving into the yellow belt range. I am tempted to do the belt training twice a day just to be fast but i Know for ME, that would NOT be in my best interest. In the past I have been unwilling to simply follow directions as if I am somehow less because I can’t figure it out. You have laid it out simply and the time has come. I do have a question.. Other posters have points next to their names. what does that mean. I KNOW points are good (unless it is on your license) and I want some. @Gaddy3 Hey Gaddy, those points are related to activity on the board and not activity inside Simpleology. As for doing the training twice a day … only once a day counts, so we took that in mind when designing the system. We’re constantly working to make the training better and more interesting. Thank you for the changes!Really awesome, love the changes with the training.I’m much more efficient now. However, i’m still finding the options overlay not too easy to use. While i love its design, i often have to roll over several times and the options don’t come up unless i click the panel outside and roll over again. Also, I think a simpler design/way to label the targets would be welcome.It’s a bit tedious atm. Not to complain but only positive feedback, because I love how you take our input and keep improving. BTW i can’t find the iphone app in the store(was there before)…and still desperately waiting for the ipad app and I’m sure many people here use simpleology on their tablets and phones and it would so much better to be able to do our Start my day on an app. @deeshakc Hey Deesha, that’s useful info … What operating system and browser are you using? As for the iPad app, have you tried running Simpleology in your browser on your iPad? Also, are you using SMS/Email to Dream Catcher? Our internal position is that the app market is very over-stated right now and that their relevance will die out as the form factor of mobile changes. This is a constantly moving target, but we have to take a position that sets us up for the long term. Mark, I’ve been Simpleology for a long time. I did however, find myself not using it everyday as time went on. I have been using the belt training diligently, and am on the Orange Belt training. Frankly, I find going back to the basics from the beginning, and running a streak has been extremely helpful to both reestablishing new habits and reinforcing old habits. 5.0 is very intuitive, and even though I consider myself extremely productive, this is heading for the quantum leap I am wanting to attain. Thanks so much. okay, Mark, I am halfway through Amber and streak at 54. I love the simple methods of quickly setting priorities. I know I am jumping ahead, but have found new ways to use the lists and am rapidly devising a personal methodology around the lists. Thanks so much. I’ve noticed there are many posts of Simpleology users who want to skip the early trainings to move onto new features. When I began going through the dojo system I had the same mindset but trusted the concept. I’ve been a user since Simpleology first went online and every new version has grown by leaps and bounds, fine tuning the guiding method about getting what you want. Excellent job with the changes and new version. I agree with exactly how the dojo system is setup. Do you take full advantage of every feature? If not, why not it doesn’t take much time? Your reward to yourself is vast. The core reason I’ve seen and read of people not doing so that it takes too much time. But is 5-10 minutes a day really that long? For current users it adds 2-5 minutes tops.The repetition is worth it. I’ve mentally gone through the motions on paper at times and you do not get the same benefit as the electronic version. And the why is a simple answer. Self Awareness. In 5.0 one focus is on awareness. Seeing your growth and observing your improvements. This may not seem huge at first, but it is. You now have a track record of your journey. Seeing your progress and ebbing closer and closer to your target will keep you motivated. Make sure you are on the right path for you. The popups from it act as great reminders and I’ve found myself using tools and features I didn’t use to, missed, or had forgotten about. Great work!! I’ve found myself using version 5 to keep my band on track. Ironically in the past I used Simpleology entirely for health tracking and business but left out aspects of my personal life. I happened to end up in a band last year. Until then I had never done anything musical at all in my entire life. It happened by taking vocal lessons to help with business meetings. Then a friend of mine kept nagging me to tryout for his new project. He wanted me to make sure he didn’t end up with negative contract like his previous project and told me I already have the hardest part down; I am healthy. (I don’t smoke, drink, eat mostly locally grown organic food, barefoot running, etc.) He told me well you can do speeches for hours, are great at establishing personal connections, so why not try it. Last year while going through one of the Simpleology health trackers I realized I’ve been too focused on business lately. Although I’m in good health I had put my personal life aside and it may be a good idea to take some hours off. So I figured why not pickup a hobby and try it out. I showed up and had fun. Fast forward 8 months later. We have 12 songs, are finishing the 13th to complete the album, filming a music video, learned how to do recordings so we can record ourselves, discovered fans from 3 continents, and landed an upcoming meeting with world class drummer Mike Mangini. If things go well we’ll have a shot at being on Road Runner Records. I didn’t realize the progress we’ve made until I was going back through some of the archived goals and it hit me. Wow all that in less than a year. And that does not include any of my business progress, just a side project spending a few hours on it 5 to 7 days a week. If it wasn’t for that module in Simpleology I likely would have ignored the opportunity. @Melissa C Hey Melissa, that’s the way the belt system works, but not the rest of the supporting documentation. The belts are based around the idea of someone mastering a skill, and turning it into a habit, before moving on. However, you can learn about all of the other functionality at your own pace by looking at the Productivity Habit in the Library, or by clicking around on any of the features using in-context help. That said, we’ll be re-shooting White Belt very soon so that it’s not repetitive at all. It will be varied training. @Antony den Dulk Hey Antony, yep all you’ll need to do is contact support and they can set you to White again. There will definitely be a blog post about it when the re-do is done.